Thursday, December 29th, 2011 at 10:41pm. 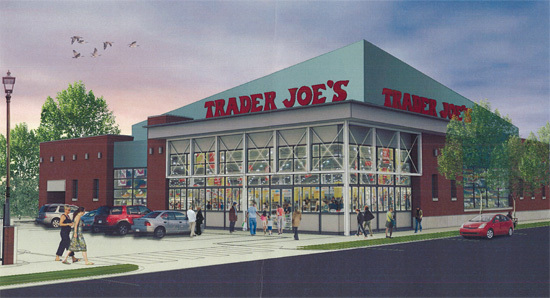 Plans are under way for a future Trader Joe's to unfold in the Uptown area along Lyndale and 27th St in the coming months. The only thing stopping the Minneapolis real estate development taking place are city and neighborhood approvals. A new 14,000 square foot Trader Joe’s grocery and liquor store on the corner of 27th Street and Lyndale Avenue in the Wedge area of Minneapolis. This is just outside of Lyn-Lake and the core of Uptown. Currently the site is home to four buildings with two separate owners. Friday, December 16th, 2011 at 11:22am. Yesterday I wrote an offer for a buyer client on a Minneapolis Condo that we knew the seller already had multiple offers. Multiple offers in this real estate market you ask? Yes and the trend will begin to ripple across the market as we see new listings drop (-16.1%), pending sales increase (11%) and closed sales increase (8%) year over year. The North Loop condo was priced right--arguably under market value, in a financially healthy building with good resale trends. There were already 3 offers on the condo and our strategy was to offer 5% above list price with zero closing costs and non-refundable earnest money to combat the fact that the buyer was financing some of the purchase price as opposed to a cash offer to sweeten the deal. Wednesday, December 14th, 2011 at 12:09pm. The future of downtown Minneapolis looks busy-really busy when you factor the amount of residents the city is predicting will begin calling downtown their home over the next 15 years. In a bold move today the Downtown City Council released a plan of action that charts the progress for development in the urban core of the city. For decades, suburbs have captured growing shares of the job and retail markets. But the next successful economy, when it arrives, may turn the tables by placing higher value on the efficiency and proximity that traditional big-city downtowns can offer.